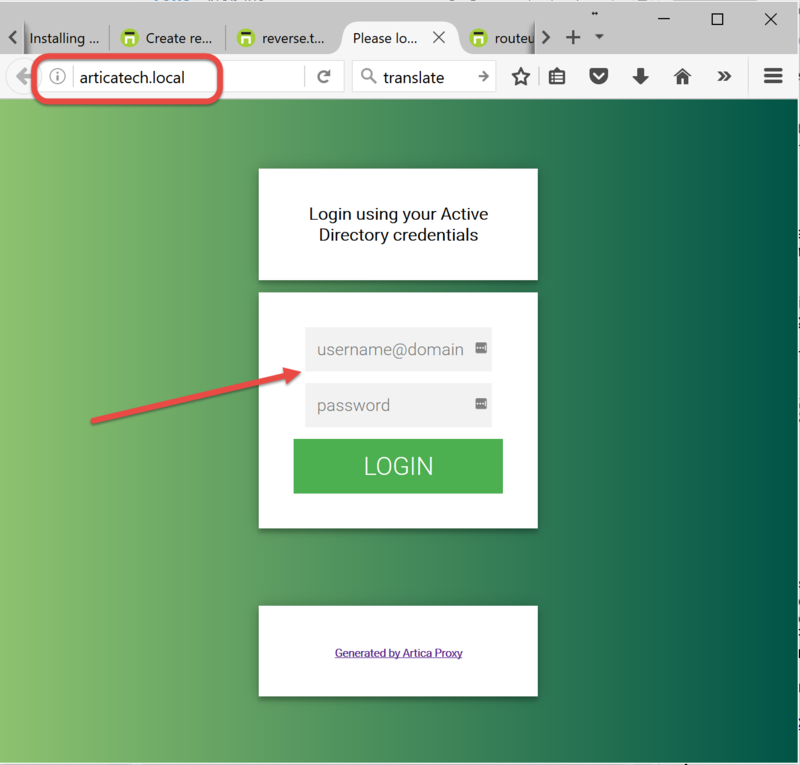 This feature can be used with Artica (v2.39.051313 or v2.38.051313 or above) and the reverse-proxy service version 1.9.7.3. 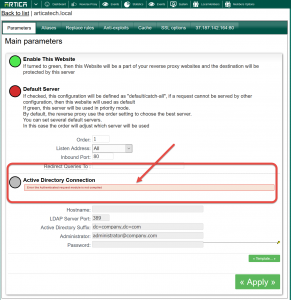 It allows you to allow access to a reversed Web site only if user is logged using it’s Active Directory credentials. B) Verify your reverse-proxy version. This means you have to update the reverse-proxy software to 1.9.7.3 or above. 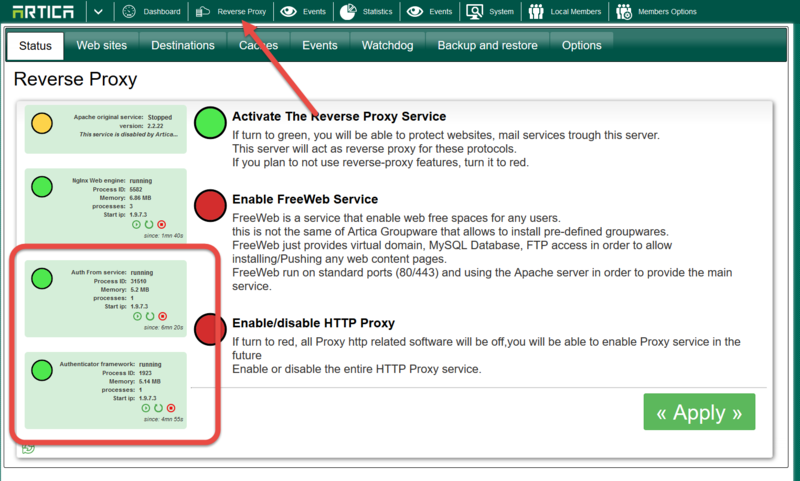 Click on the Reverse-Proxy top button. Auth From service: Designed to hook and build the Authentication form. 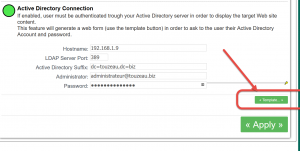 Authenticator framework: Designed to verify credentials to the remote Active Directory server. 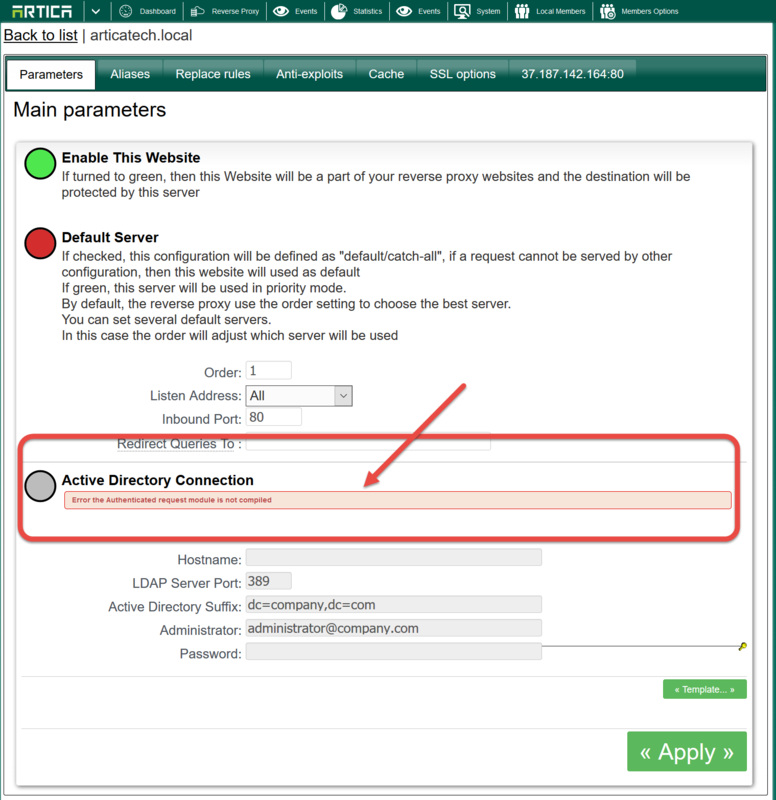 Turn to green the Active Directory connection option. 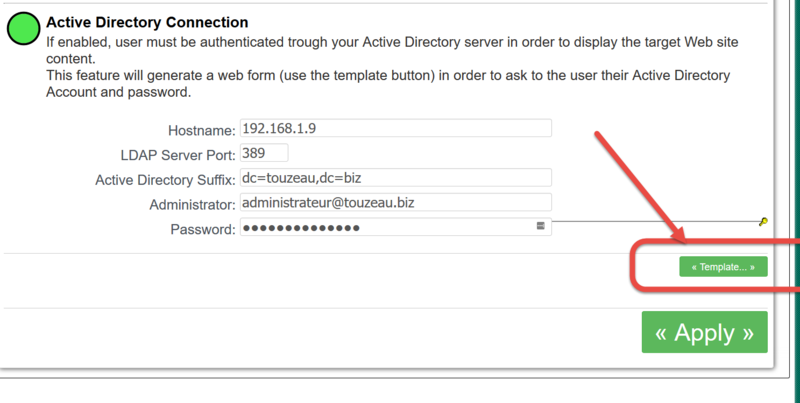 use username@domain in the “Administrator” field. Connect to your reverse web-site. 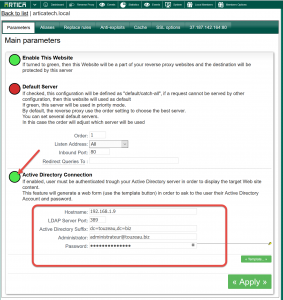 Instead open the targeted web site, the reverse proxy engine display a web page that asking Active Directory credentials. 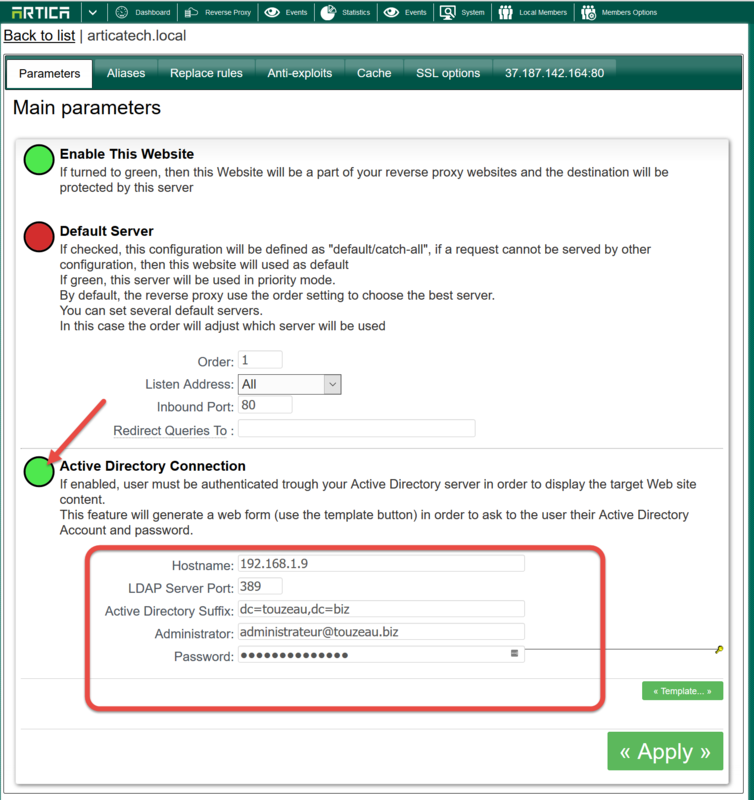 If you logon successfully to the authentication page, the reverse proxy open the targeted web site content. If you want to skin the web form, click on the “Template” button in order to modify the HTML code of the web page.